Each year, all of our family and other guests at Christmas dinner sign their names on our tablecloth. This includes our little kids whose writing changed so much every year. This is the 3rd year that Jessy has embroidered my family’s signatures on our Christmas tablecloth to make it permanent. This is a family tradition that is very special to us, especially given that we lost my father the February after the first year she embroidered our names.Each year we can remember and celebrate him. Jessy does this by hand and she does an amazing job every time! Most other people use a machine toembroider things. 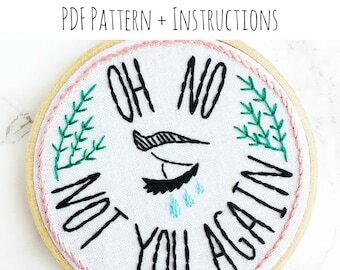 Imagine how talented she has to be to make each name look just as it was written- whether the signer was 2years old or 70.
new embroidery pattern up in the shop! 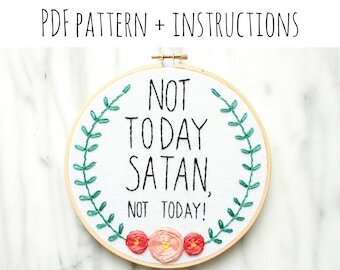 new pattern in the shop!! 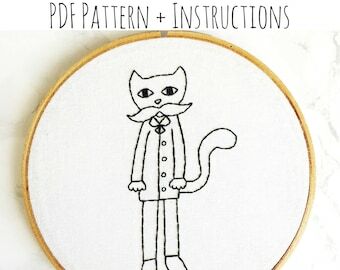 all embroidery patterns are hand drawn and test stitched before being released in the shop. a sample of some of my work - more to come! I started my shop in late 2011 after I was told by a coworker that I should try selling my golden snitch necklaces online. The golden snitch necklaces really took off - I sold tons of them. I was thrilled, but embroidery is my first love! To see what I'm currently working on, please check out @makingjiggy on Instagram! 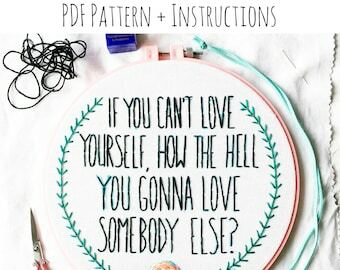 At the moment, I'm focusing mostly on selling patterns! 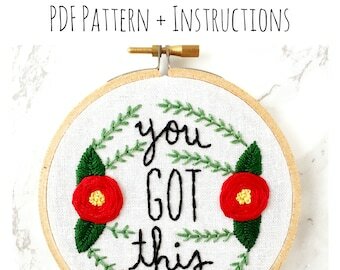 However, if you have an idea for a custom embroidery piece you'd like to have made, please message me here on Etsy. 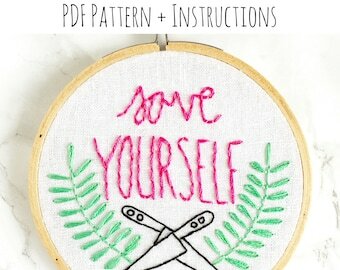 I'd love to take it on if I have time - if not, I can recommend other embroidery artists that may be able to do it for you! 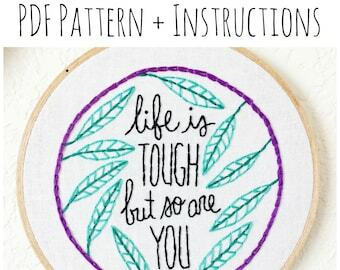 All embroidered hoop art is colorfast and securely glued into the wooden hoop. You may spot clean with a damp cloth if needed. 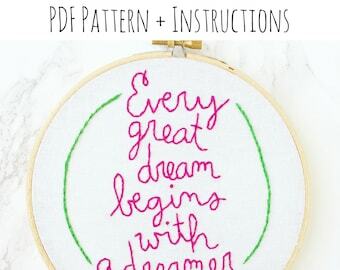 Outer hoops can be removed from the piece without hurting the embroidery. 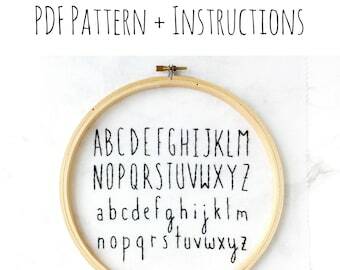 This allows you to adjust the outer hoop or even stain it if desired. Jewelry orders will come packaged in a small gift box tied with embroidery floss or twine. 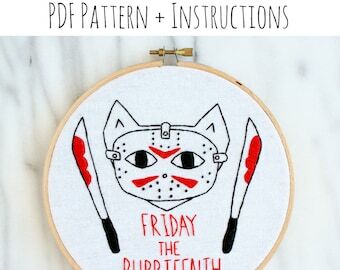 Embroideries will come wrapped in tissue paper and tied with embroidery floss or twine. I ship exclusively in bubble envelopes to keep shipping costs lower.